What if timid Baby Lincoln broke free of her bossy sister and set off on an unexpected journey? Kate DiCamillo presents a touching new adventure set in Mercy Watson’s world. Baby Lincoln’s older sister, Eugenia, is very fond of telling Baby what to do, and Baby usually responds by saying "Yes, Sister." But one day Baby has had enough. She decides to depart on a Necessary Journey, even though she has never gone anywhere without Eugenia telling her what to take and where to go. And in fact Baby doesn’t knowwhere she is headed — only that she was entirely happy in the previous night’s dream, sitting aboard a train with a view of shooting stars. Who might Baby meet as she strikes out on her own, and what could she discover about herself? Will her impulsive adventure take her away from Eugenia for good? 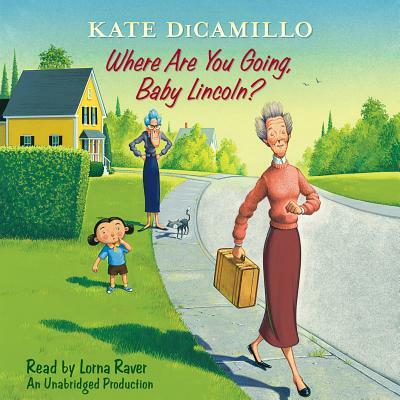 Kate DiCamillo is the beloved author of many books for young readers, including the Mercy Watson and Tales from Deckawoo Drive series. Her books Flora & Ulysses and The Tale of Despereaux both received Newbery Medals. A former National Ambassador for Young People's Literature, she lives in Minneapolis.